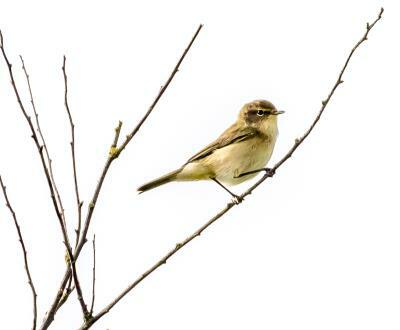 Bird Id - Forum - Identifying Birds - Chiffchaff? Forum > Identifying Birds > Chiffchaff? Snapped at Titchwell Marsh last week - although it doesn't look quite like the pictures in my bird books (do they ever!) is it a Chiffchaff? Chiffchaff are very similar to Willow Warblers and as such are often mistaken for each other. Looking at your lovely clear picture, this bird has very dark legs which would indicate that it is indeed a Chiffchaff. A Willow Warbler has pale legs (think of a thin Willow branch colour). Other colour distinctions between the two are far more subtle but then there's always song and tail flicking to go off. Thanks for your reply Karmann65. I was hoping I would hear it sing before it flew off but unfortunately it didn't oblige!